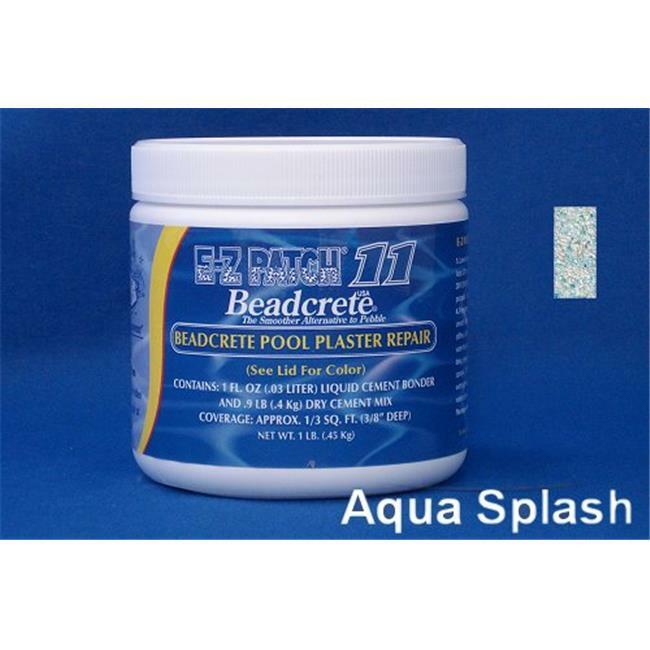 Repairing your bead finish pool has never been easier. Now repair and patch the most common bead surfaces like a pro. Our special color matched materials and instructions. Non-Reimulsifying Acrylic modified material with Pozzalons and Polymers is for above water Bead plaster repairs (water must be lowered). Top quality materials and additives, backed up by superior formulations all add up to good looking, long lasting repairs. Contains cement, an Alkaline substance irritating to eyes and skin. Contains acrylic resin cement bonder. Should product contact eyes, flush them immediately and repeatedly with water and call a physician. Do not take internally. In case of skin contact, rinse immediately with water. Use of rubber gloves is recommended.